Baby Bliss with Jordan & Chris: Shall We Downton? When I was a little girl my favourite, favourite television show was Road to Avonlea. 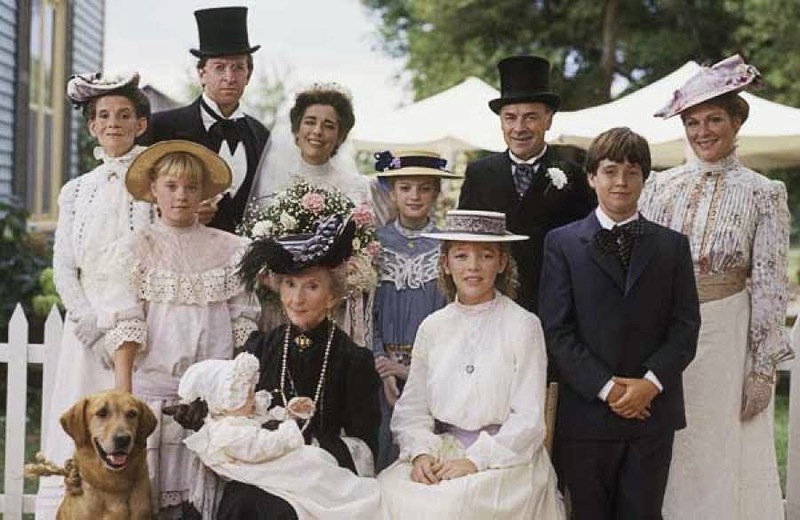 It was MY show and on Sunday at 7pm it didn't matter if we were in the middle of dinner, there was a hockey game on, or even if I was in the middle of homework, when Road to Avonlea aired it was sacred time. Remember, this was pre-PVR so if you missed it, you missed it. I still think that Road to Avonlea is one of the best tv shows ever created, certainly the best Canadian (hello, three Emmys! ), and I watch the reruns whenever I can find them. I feel a strange sort of nostalgia for the show and if we do have any more children, Felix and Cecily will be on my list of baby names once again (I mean, Felix Wilkinson, could that be any cuter?). Road to Avonlea was the beginning of my affection for historical fiction and Downton Abbey is my current obsession. I can't get enough! The story is engaging and mysterious, the scenery and costumes beautiful, and the acting is excellent. Downton Abbey season 5 started last night and once again, I'm totally hooked and eager to see what happens next (WHO will Lady Mary choose?). Lord help those who feel inclined to share spoilers, I can't even watch the season preview or read the episode synopsis, just like my Road to Avonlea, this is the kind of show that deserves to be savoured.